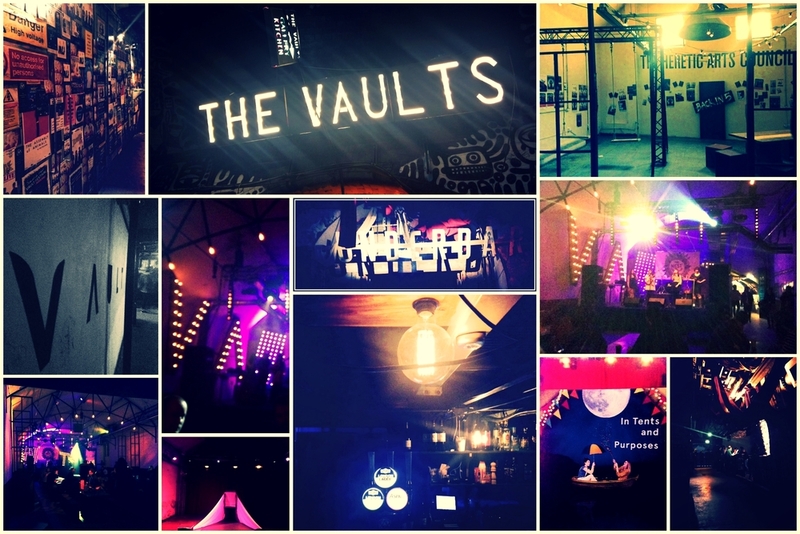 Vault Festival with more than 100 shows is one of the most popular festivals in London focusing on performing arts. It's on until the 6th of March so you have plenty of time to go. If you are indecisive, and find it hard to pick a show you can go on Wednesdays when they offer 2for1, or on Thursdays 3for2. They also offer festival packages and combo offers. You can find more information on their website. The latest show I went to, is called In Tents and Purposes , by Viscera Theatre Company. Smart jokes, enjoyable, and meaningful. It's on until the 14th of February so if you get the chance go and see it. If you manage to go to the festival make sure you also leave enough time for a drink, grab a pizza for dinner at the bar, or try the bakery rolls. Normally on the main stage a band will be playing or sound checking, and don't forget to grab a flyer or two and find out about a new production.